Is it 2019 already? Well, once you scroll through all your social media handles, and you see all those posts giving out ‘The Best of 2018’ awards and honors, you might realize that we are moving towards the end of 2018! We’re this close (imagine a person holding their index finger really close to their thumb) – yep that close – to all the ‘New Year New Me’ posts and photographs. 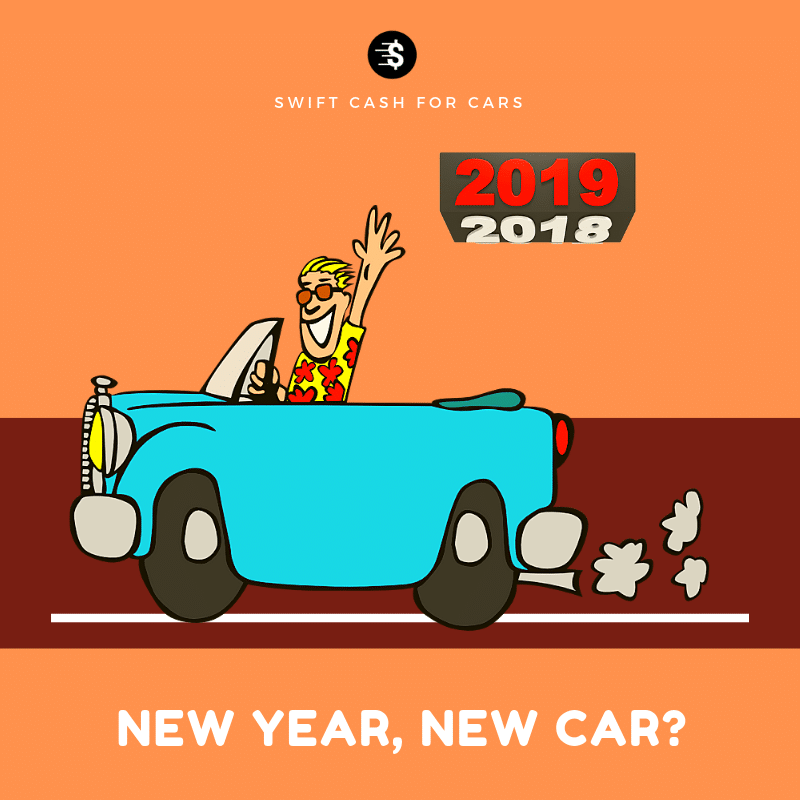 With a lot of new resolutions coming in, a lot of us think about getting rid of the old car to get a new one! Most people who drive would want a better technology in their car or just a better car! If you’re one of them, you might want to figure out if you really NEED to buy a new car, or you’re just a shopaholic. Is your old car really that old? Is it giving you potential life hazards? Is it absolutely archaic technology that your car uses? If you said YES to these questions, you probably need to sell your old car. Old is gold, but not every time. Driving a car with outdated technology could be extremely inconvenient. Having a vehicle that is not potentially fatal is rudimentary and should be paid attention to. There is also a chance that the parts for your car aren’t available anymore, and you might have to shell out a lot of extra money to get it fixed. Also, this expenditure is directly proportional to the age of your car. The technology that your car is using might be outdated and would lead you to not being able to enjoy new kinds of accessories for your car. This might not be advantageous at all times. For example, you have an old car which does not have GPS enabled or the technology to install a GPS, you might have to face the inconvenience of exploring addresses on your phone! We are all guilt-ridden for not being able to take proper care of our cars as much as we’d like to or as much as we’re supposed to. But let’s face it, proper maintenance extends the lifespan of the vehicle and has other benefits like being able to sell your car fast for instant cash to a prospective car buyer. If your car has been well-kept, you can recover a lot of what you’ve spent on it while selling it. Or, you can keep driving it for a longer period and use it as a fashion statement. Waiting another year or another 6 months to sell your car means getting a lower price on it. If you really want to make a purchase right now and buy a new car, you should probably sell your car right now and get a new one. The reason is, the more you wait, the less you get. You can also find out how to sell unregistered car quickly on our blog section. Still confused? Maybe wait another year!